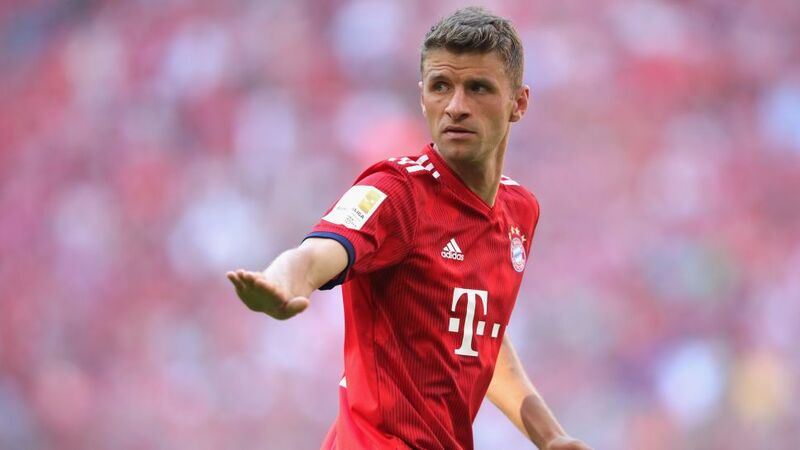 Bayern Munich attacker Thomas Müller spoke of a, “positive path forward together,” with new coach Niko Kovac as the Bundesliga champions continue with their preparations ahead of another huge season. In an interview with FCBayern.TV, club legend Müller – who is fast approaching 300 Bundesliga appearances – expressed his delight at returning to first-team duty recently and outlined his hopes and expectations under the new man in charge at Säbener Strasse. Next up for the record Bundesliga champions is a rigorous eight-day training camp in the Bavarian idyll of Tegernsee, around 30 miles south of Munich. With many of Bayern’s first-teamers competing in International Champions Cup games in the United States recently, the camp offers coach Kovac a chance to put a next-to-full squad through their paces. Only France international Corentin Tolisso will be excused following his World Cup winning exploits in July. “For those of us who weren’t on the US Tour, the next week is going to be an opportunity for us to familiarise ourselves with the new coach,” Müller said. “We will certainly exchange opinions and discuss certain things. We’ll see what the coach expects of the team and how he wants us to play; now is the time to find out. Bayern will face FC Rottach-Egern in a friendly next Wednesday before meeting Kovac’s former side Eintracht Frankfurt in the Supercup on 12 August.